You deserve a springtime reward. 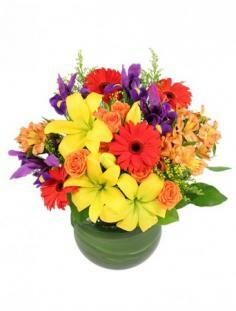 KELLY'S FLOWER SHOPPE will design a glorious bouquet of spring flowers for your home. Bring in the spring sunshine with a vase of daffodils. Capture the fresh breeze of a spring day with a basket of flowers. Celebrate the simple pleasures of spring with blue iris, pink gerbera daisies or rosy tulips. Feel the day's delight with spring flower arrangements. Everywhere you turn in Summerside, PE the revival of spring is felt. KELLY'S FLOWER SHOPPE has a charming collection of spring flowers waiting to brighten your day. Winter is a season of powdery-white snow, fresh cedar and pine, mistletoe and more. This heavy season's beauty is best adored indoors. 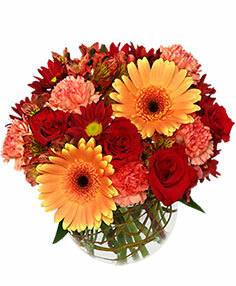 KELLY'S FLOWER SHOPPE can help you order a festive arrangement of winter flowers for yourself or a deserving friend. Reds, greens, whites, golds -- all brighten even the chilliest of spaces. Winter parties are so much better with the color of winter blooms! So remember the helpful staff at KELLY'S FLOWER SHOPPE for your flowers this winter.